Last year, when the Family Research Council invited the newly freed Sudanese Christian religious prisoner Meriam Ibrahim to speak at its Values Voter Summit, Peter noted that while Ibrahim would have plenty of reason to want to thank American evangelical activists who had advocated for her release, the FRC seemed to have a different agenda for her appearance. 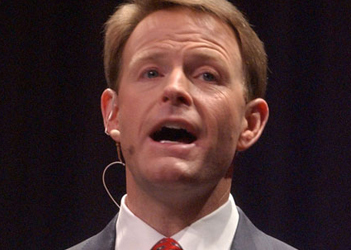 Over the past few years, FRC president Tony Perkins has time and again used advocacy on behalf of Christians facing violent persecution around the world to cynically promote the claim that American Christians are similarly being persecuted through LGBT equality and reproductive rights laws at home. Perkins accomplished this sleight of hand once again in an email to FRC members today urging them to donate to the group in exchange for a “Nasrani” pin expressing solidarity with Iraqi and Syrian Christians who are being persecuted by ISIS. 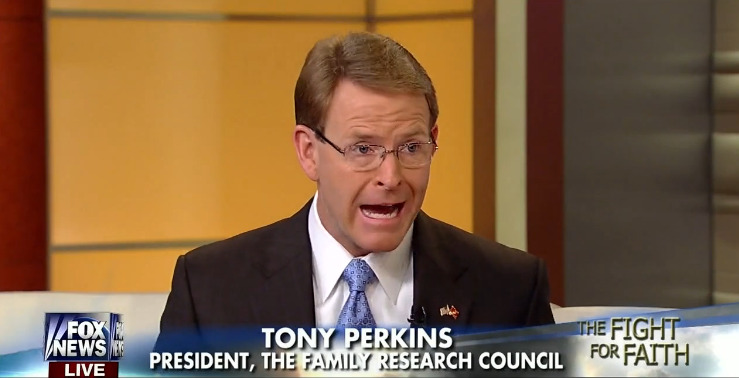 But Perkins doesn’t just ask for members to support their fellow Christians in the Middle East who are facing actual, violent persecution — he compares the persecution of Christians at the hands of ISIS to the supposed persecution of Christians in America. 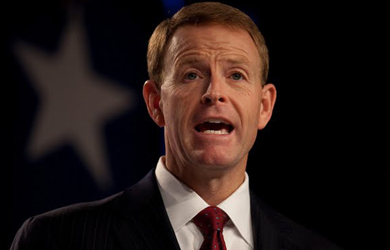 “Please take a stand for persecuted Christians in America….and everywhere!” the email reads. In an Iranian prison, a man is praying . . . for Christians in America. In a hidden location in North Korea, a kneeling circle of believers cry out to God . . . for Christians in America. I know of no stronger evidence of the connection between the persecuted church overseas and the persecuted church in America than this: they are praying for us! 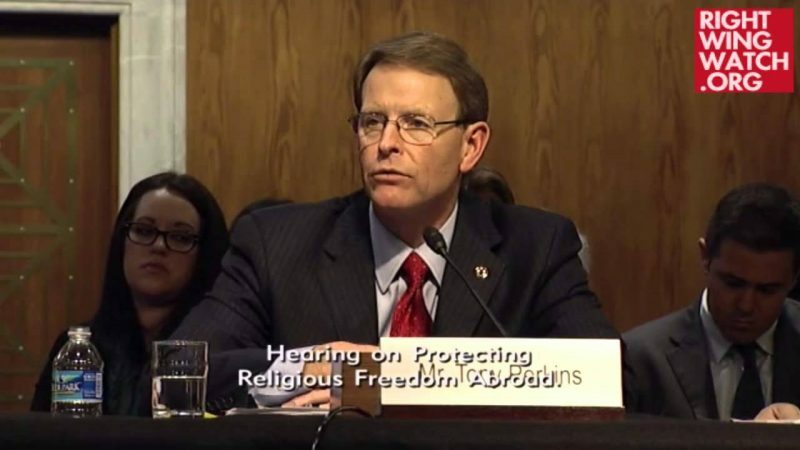 That’s why I urge you to allow me to send you a Nasrani Pin as my thank you for your gift to help FRC stand for religious freedom in America as Christian faith comes under growing attack — and also speak out for the persecuted Christians overseas. Perkins and FRC should be commended for any work they are doing to free prisoners like Abedini. But using the plight of Abedini and those like him to stoke fear that liberal social policies will lead to the persecution of Christians in America is another thing entirely.